The Ace of Geeks: The Nintendo World Championships are Returning! Nintendo of America announced their plans for this year's E3, and it's a lot of the usual. They're letting us play their newly announced games (this year it's Mario Maker) at Best Buy the week of the convention, they'll be holding a digital event to announce lots of good things, the Treehouse will be live on the floor the whole time...oh, and they're bringing back the Nintendo World Championships. 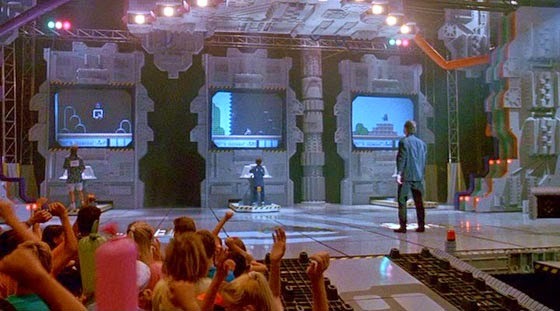 Anyone who saw the movie The Wizard as a kid knows about the Nintendo World Championships. In the film, it was an epic, stadium sized video game event where kids of all ages battled it out to see who was the absolute best in the world at Nintendo. But not as many people know the Championships were a real thing. For one year, in 1990, Nintendo actually held the event at a fan-convention called Power Fest. Anyone lucky enough to compete in the event and win got their hands on a Nintendo World Championships Cartridge, one of the rarest video game cartridges in the entire world, which regularly commands thousands of dollars on eBay. The original championships consisted of three challenges - get the fastest time in getting 50 coins on Super Mario Bros, the fastest time in the original Rad Racer course, and the highest score on Tetris within a set time limit. Whoever did that got to take home a cartridge.